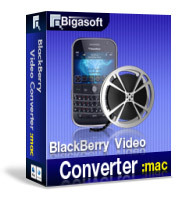 Bigasoft BlackBerry Video Converter for Mac, all-in-one and best Mac BlackBerry converter, can easily and fast convert any popular video (AVI, DIVX, XVID, MPEG, 3GP, FLV, WMV, MOV, MP4, VOB, RM, MOD, TOD, MTS, WebM, VP8 etc.) to BlackBerry video MP4, AVI, WMV, 3GP and BlackBerry audio MP3, WMA, AAC, 3GP. 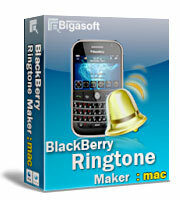 It is also a professional BlackBerry music converter for converting any audio to BlackBerry audio. The professional BlackBerry converter for mac can be served as BlackBerry video converter, BlackBerry music converter, BlackBerry Q10 Video Converter for Mac, BlackBerry Bold converter, BlackBerry Curve video converter, and more on Mac OS X Lion, Snow Leopard, Tiger, and Leopard. Just free download Bigasoft BlackBerry Video Converter for Mac and enjoy unlimited movies on your BBM. 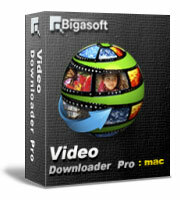 Ready to try or buy Bigasoft BlackBerry Video Converter for Mac? All BlackBerry models are supported by the Mac BlackBerry converter including BlackBerry Bold, BlackBerry Curve, BlackBerry Pearl, BlackBerry Tour, BlackBerry Storm, and more.It is specially designed for the new released BlackBerry Q10. It is also a professional Mac BlackBerry Q10 Video Converter. The wonderful BlackBerry converter for Mac allows you to split any video segment at will by setting the start time and end time. You can also crop movies to remove black bars and focus video with the powerful Mac BlackBerry converter. Bigasoft BlackBerry Video Converter for Mac allows you to merge different video files into an integrated video file. You can finish the conversion in few clicks with the easy to follow instructions. The powerful Mac BlackBerry converter is compatible with Mac OS X v10.4(Tiger), 10.5(Leopard), 10.6(Snow Leopard), 10.7(Lion), 10.8(Mountain Lion), and 10.9(Mavericks).